Grand Tea has provided me with Premium Bi Luo Chun for the purposes of providing an honest review. I received this product at no charge to me and received no other compensation. Bi Luo Chun is known as green spring snail, and it’s a green tea. I ripped open the sample packet and was surprised and how small the tea appeared. I learned from Grand Tea‘s website that the tea is hand picked in early spring, so when the leaves are small. 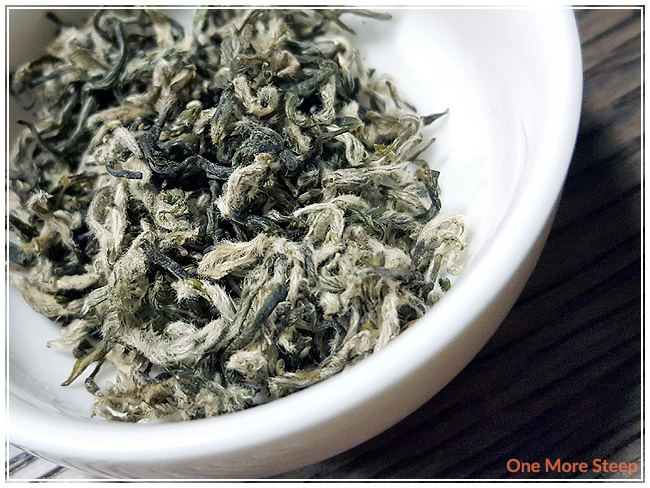 The tea leaves are amazingly soft, completely covered with soft downy feathers on the leaves. 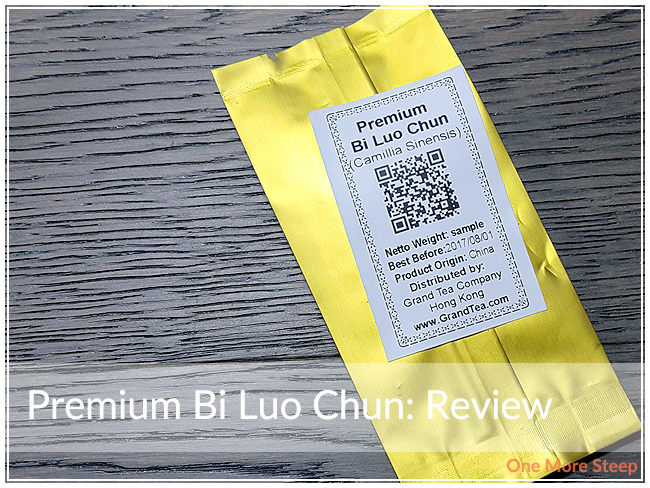 Premium Bi Luo Chun has a very light, sweet floral fragrance. It’s a straight green tea from the Suzhou Province in China. Grand Tea recommends steeping Premium Bi Luo Chun in 75-80°C (167-176°F) water for 1-3 minutes. I steeped my teapot of Premium Bi Luo Chun in 175°F water for 90 seconds. Premium Bi Luo Chun steeps to a pale yellow. On first taste, the tea has a light floral sweetness throughout the whole sip. There is a hint of astringency at the end of each sip, and the floral flavours linger on as an aftertaste. I find the astringency isn’t overwhelming, so the tea is quite palatable. The tea leaves resteep well, I did a total of five resteeps with an additional 30 seconds per steep. 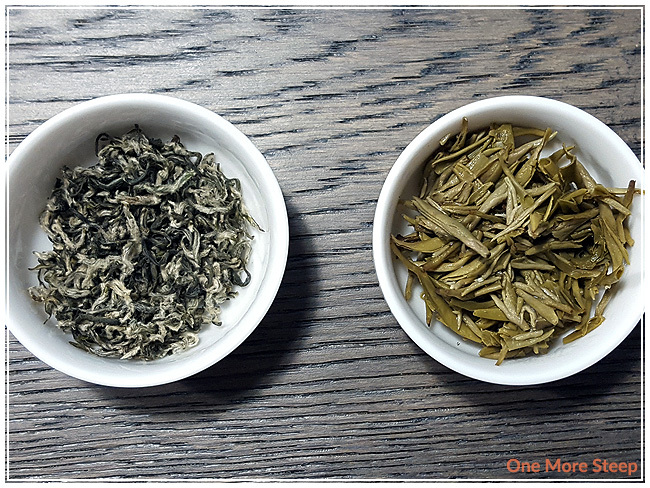 The floral flavours are more pronounced in the first resteep. I find that the astringency mellows out and the floral notes grow stronger. It’s quite a pleasant flavour profile in the whelm of green teas, I like that it isn’t savoury or vegetal in taste. I liked Grand Tea’s Premium Bi Luo Chun. I quite liked this green tea in the complexity of the floral and astringency, it’s delicious and it tastes well. I found the astringency isn’t very strong, and the floral flavour is good. I think the sweet floral notes make it a delight on the tongue. 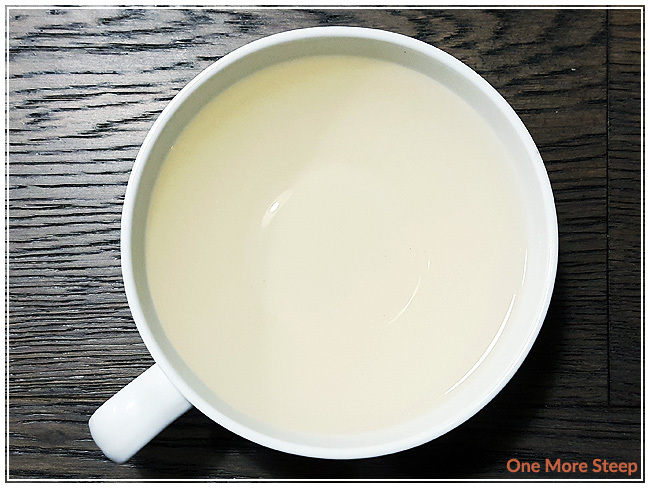 I drank this tea while having cookies and can certainly say with great authority that this straight green tea goes well with sweets and desserts. I think it would also pair well with savouries because the light sweetness would mingle well with a savoury dish as long as it isn’t too heavy because the tea is so light and refreshing.